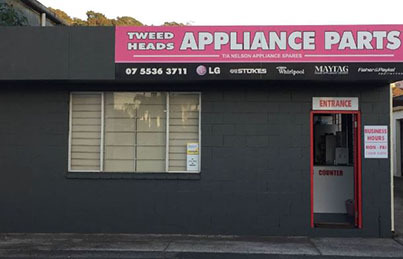 We specialise in spare parts for whitegoods such as stoves, washers, dishwashers, rangehoods, refrigerators, freezers, dryers, microwaves and many other parts for household appliances. We also sell top quality parts for electric hot water systems and some parts for commercial refrigerators. We wish to emphasise we carry a wide range of oven elements and cooktop elements. Please browse our online appliance parts catalogue using the menu to the left, or simply use the Quick Find box in the lower right hand corner of the page to search for a specific part number or description. If you don't know the part number, you may need to compare your part with the picture of a part on our website. We are open to Australian and international customers and for this reason list our prices excluding tax. Prices may change without notice. And if you are in Australia and make a purchase of $150 ex tax or more, standard Aust Post shipping is free! We accept various payment methods and credit card payments are protected by our encrypted web server. Since we continually add new parts to our online appliance parts catalogue, you should bookmark our site and check back on the occasion for newly added parts. If you would like to request the addition of an appliance part that's not already in our online catalogue, feel free to Contact Us.